Eat, Run, Read: The Weekend Report: Happy MLK Day! 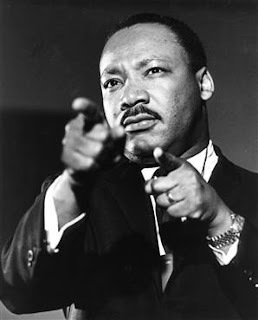 Happy Marin Luther King, Jr. Day! To find volunteer opportunities in your area, go here. And if you don't have time to volunteer today, do it tomorrow, next weekend, whenever! I promise, Dr. King won't mind if you're late! And now for my Weekend Report. I'm happy to say that this weekend was heavy on the sleeping, light on pretty much everything else! After a crazy last couple months (NYC, Sister1's Wedding, home for Christmas, and skiing), I needed a calm couple days to get my life in order. On Friday night, LLC and I went to Korean American Day at the Smithsonian Museum of the American Indian. It was supposed to be a concert from 7-8, then reception 8-9. The musicians were impressive, but the concert part went on (and on and on and on) for two hours! By the time we got out, we (and everyone else) were famished, and the now-cold dumplings and weird Korean desserts were not quite as satisfying as we had hoped. But we made up for it by stopping at Fro-Zen-Yo on our way back to Dupont. Cappuccino, Butter Pecan, and Eggnog flavors - a very healthy dinner! Saturday morning, LOTR-Emily got us brunch reservations for the Tabard Inn. It was very good, but I don't know if the experience really warranted 2 weeks notice for the reservation. We got the homemade donuts (they come sprinkled in sugar with whipped cream for dipping), and then I ordered an omelet with shrimp, brie, and chives. I went on a couple lovely (albeit chilly) runs - 4 miles and 5 miles - look at me go! Hope you're having a good long weekend too!